You wake up early, to come to the Station. 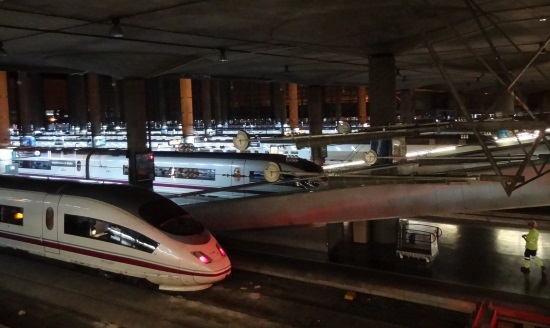 And here are those high speed trains, waiting to take you to your day job. The one you see in the first place is an AVE 103, by Siemens, weights 447 metric tons and it can get 404 passangers at 350 Km/h with an electric power of 8.800 kW.